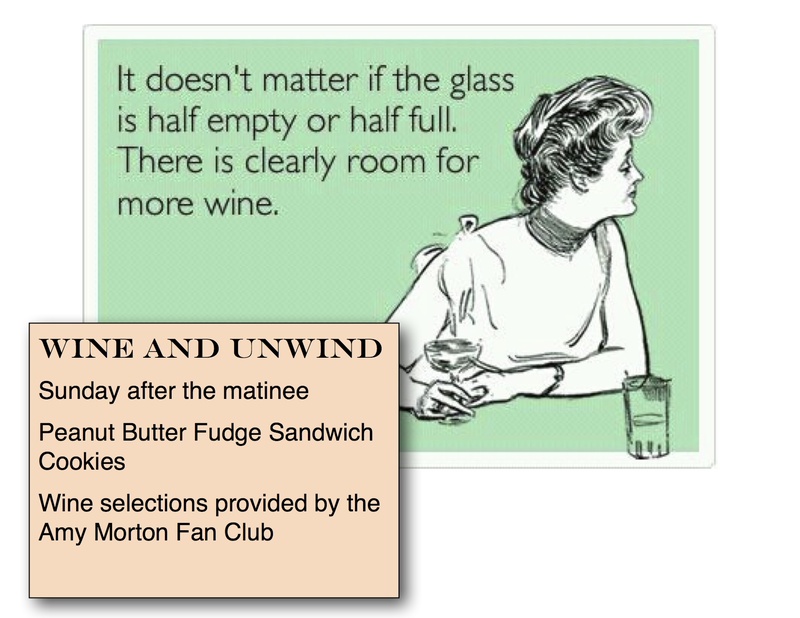 One of James’ delightful traditions is a Sunday night “Wine and Unwind” gathering in the stage manager’s office. He’ll bake some decadent treat and pair it with a sturdy red wine to send everyone into the day off. He’s currently working on “Who’s Afraid of Virginia Woolf” — on a show as fraught with drama as that one (onstage, not off!) everyone definitely needs a way to unwind. For cookies that are softer use 1 cup of shortening instead of the butter and margarine. For Cookies: Beat peanut butter, butter, margarine, brown sugar, milk and vanilla in large bowl with electric mixer on medium speed until well blended. Add eggs. Beat just until blended. Combine flour, baking soda and salt in medium bowl. Add to creamed mixture and mix with wooden spoon until blended. Drop by level tablespoonfuls 2 inches apart onto prepared baking sheets. Press down with bottom of a glass or the traditional way of making a cross hatch with a fork. The wine was a La Pilar Malbec courtesy of an anonymous fan who insisted on giving Amy Morton (who plays Martha) $40 to buy drinks for the company. I hope she reads this and knows that her contribution was thoroughly enjoyed.